29/08/15. Shaqlawa, Iraq. 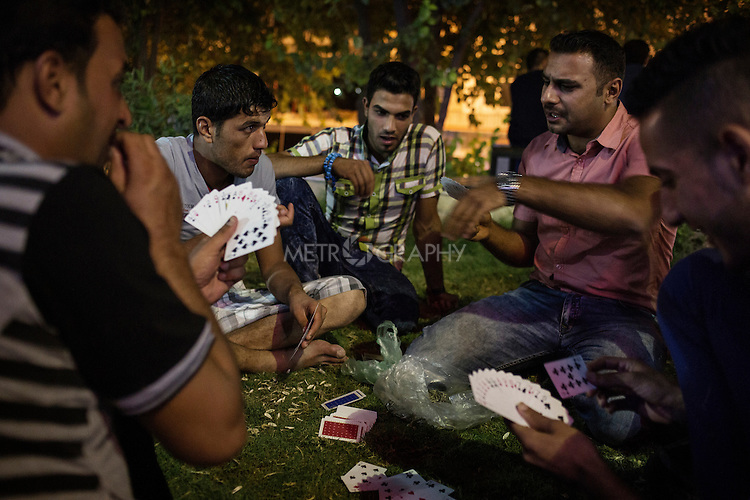 -- A group of young displaced people from Al Anbar province play cards in a garden at the centre of the bazar where they meet regularly at the end of each day.